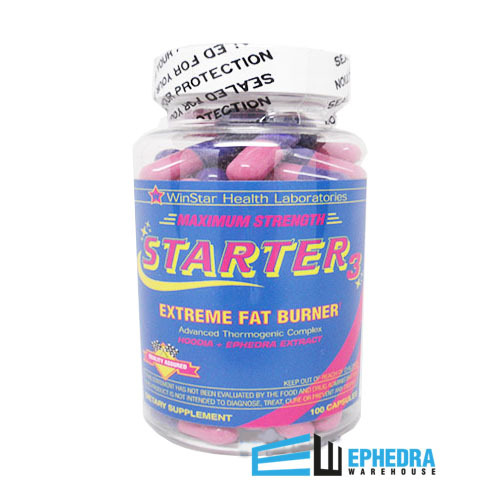 Created by Winstar Health Labs, Starter 3 (with 25 mg of ephedra), is a dynamic weight loss supplement formulated to promote weight loss and suppress the appetite. 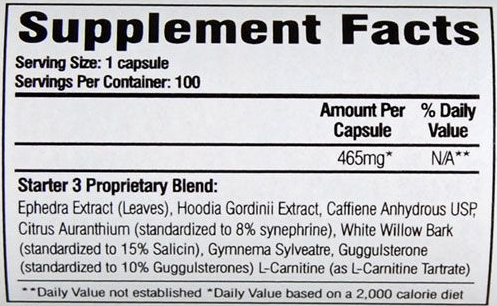 Starter 3 contains 25 mg ephedra, hoodia gordinii extract, caffeine, white willow bark, citrus aurantium, and L-carnitine. 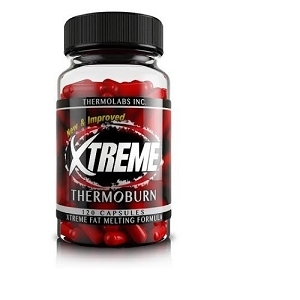 This unique proprietary blend combines proven weight loss, energizing, and appetite suppressing ingredients to create a perfectly balanced fat burner. * This revolutionary diet pill can amp up your metabolism BIG TIME!!! Stop putting off your dream physique and START realizing it today! Starter 3 is the first step towards an amazing body. Let Starter 3 help you knock out the hardest part of anything - getting STARTED! 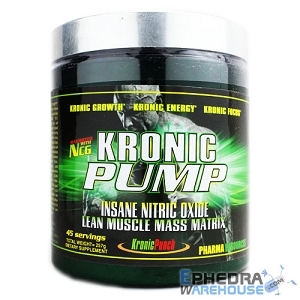 Kola Nut Extract: Kola nut contains a concentrated form of natural caffeine, which works to increase the thermogenic effect and boost of energy. Hoodia: Hoodia is one of the most effective herbal appetite suppressants on the market today. It is notoriously popular for helping to curb food cravings and reduce calorie intake for safe, long-term weight loss. 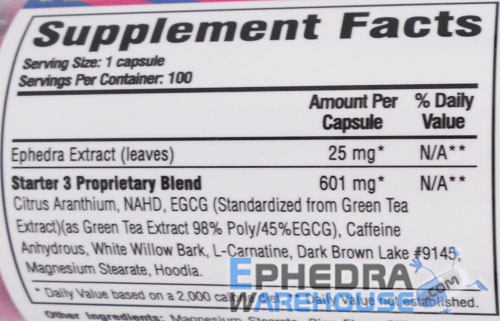 White Willow Bark: White willow bark is often used in conjunction with caffeine in supplements for its stellar ability to dull cravings and reduce appetite. Facts about Grapefruit Extract: Grapefruit extract is another natural thermogenic extract that raises the metabolism for enhanced weight loss even when at rest and while sleeping. Timing is everything!! 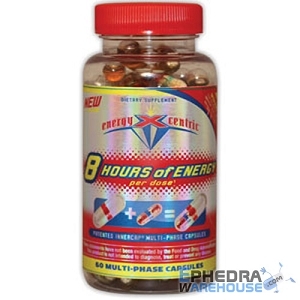 Within about 45 minutes of taking one Stacker 3 capsule, you may begin to feel the energy boosting and thermogenic effects. What this tells you is that your metabolism is rising and that the product is working! Good, managed hunger through out the day. Q: Is this item backordered or no longer available? A: This item has been discontinued by the manufacturer. A: Unfortunately, the Starter 3 has been discontinued by the manufacturer.